While significant work remains to be done, Pompeo said he expected further results after an as-yet unscheduled second summit between Kim and President Donald Trump. 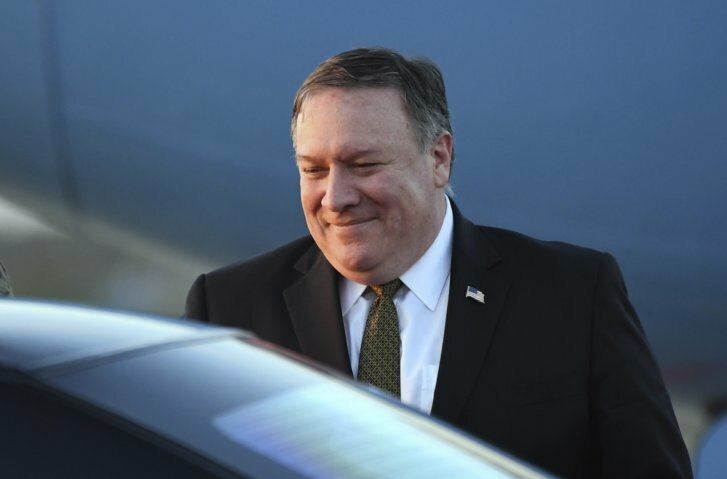 SEOUL, South Korea (AP) — U.S. Secretary of State Mike Pompeo said Monday that he and North Korean leader Kim Jong Un made “significant progress” toward an agreement for the North to give up its nuclear weapons. While significant work remains to be done, he said he expected further results after an as-yet unscheduled second summit between Kim and President Donald Trump. He would not be specific but said he and Kim had agreed to shortly begin working-level talks on the nuts and bolts of denuclearization, on the placement of international inspectors at one of North Korea’s main nuclear facilities, and had come close to finalizing a date and venue for the next Kim-Trump summit. North Korea’s state-run news agency KCNA, meanwhile, said Monday that Kim had “expressed his will and conviction that a great progress would surely be made in solving the issues of utmost concern of the world and in attaining the goal set forth at the last talks with the projected second DPRK-U.S. summit talks as an occasion.” DPRK is the acronym for the country’s official name: Democratic People’s Republic of Korea. In Seoul, before leaving for talks with Chinese officials in Beijing, Pompeo said Kim is expected soon to name deputy foreign minister Choe Son Hui as a counterpart for his new special envoy for North Korea, former Ford executive Stephen Biegun, who accompanied him on the trip. He and Biegun both said they expected meetings at the working level to begin soon and become quite frequent before the next summit. “We are starting to see a first wave of actions we can take on all four pillars of the Singapore communique,” said Biegun, who will serve as Pompeo’s pointman in negotiations with the North as well as work with South Korea, Japan, China, Russia and other countries that have an interest in the talks. In Pyongyang on Sunday, Pompeo and Kim met for about 3 1/2 hours, first in a business session and then in a 90-minute luncheon that the North Korean leader hosted at a state guesthouse, according to the pool report from the lone U.S. journalist allowed to accompany Pompeo on his Asia trip. “Yeah, so we had a great, great visit this morning,” Pompeo replied. Before visiting Pyongyang, Pompeo held talks in Tokyo with Japan’s prime minister, and pledged that the Trump administration would coordinate and unify its strategy for denuclearization with its allies. Japan has been wary of the initiative, but South Korea has embraced it. The U.S. and Japan have pushed for the North to compile and turn over a detailed list of its nuclear sites to be dismantled as a next step in the process. The North has rejected that and South Korea has suggested it may not be a necessary next step. “But with respect to our relationship with the Republic of Korea and Japan on this issue, I have found that we are in lockstep on the most important issues and how to approach them,” Pompeo said.